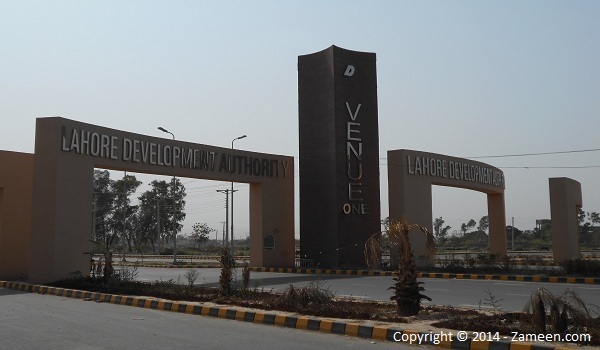 In our previous posts on Lahore Development Authority (LDA) Avenue I, we tried to keep our readers up-to-date on litigation issues in the society and the actions taken by the civic authority to contain the issues and compensate the affectees. Now LDA has come forward with a new move, which may finally relieve LDA stakeholders - especially investors and affectees – of their misery. The authority is set to hold a ballot to allot alternate plots to the people whose plots were under litigation. According to a senior LDA official, the number of affectees in LDA Avenue I was nearly 4,000, however, the authority had been successful in creating 2,000 plots through an extensive exercise, and it is expected to allot these plots immediately after Eid-ul-Fitr. At first, the LDA was planning to hold balloting through an independent committee of the authority. Later, it changed its plan to hold balloting through a third party to avoid any doubts and misunderstandings. The LDA official also told the reporters that the authority would not be able to compensate all the affectees through alternate plots, as the authority could create only 2,000 additional plots by reducing the sizes of roads or greenbelts. He stated further that the LDA should compensate remaining affectees by returning their payments. Lack of fund, administrative issues, and officials’ disinterest were said to be the reasons behind delays in development work and possession. Moreover, there appears to be a new hope for investors, as they are likely to get possession of their plots in LDA Avenue I after Eid-ul-Fitr, according to the LDA official.